Katie Mack holds a recent acquaintance. Mister Blue was recently found on the lam in central Carmichael. CARMICHAEL, CA (MPG) - Clients who do business with Katie Mack seldom learn the Carmichael realtor has a nocturnal sideline. Mack (68) rescues some of the most vulnerable animals in our community – feral and abandoned cats. “Few people know how many lives are lost due to feline over-population in Sacramento,” she says. 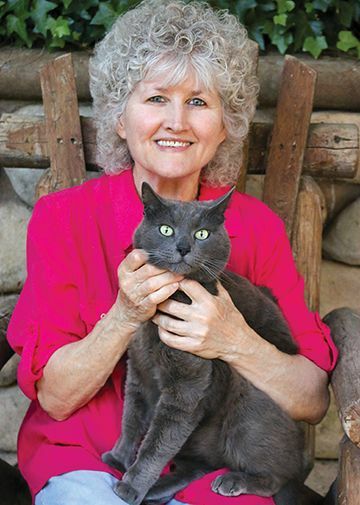 Mack has long waged a one-woman campaign to supply friendless felines the help they need. Sacramento County Bradshaw Animal Shelter (Bradshaw Road). The Animal Spay and Neuter (a non-profit located near Bradshaw Road). The Sacramento Area Animal Coalition.